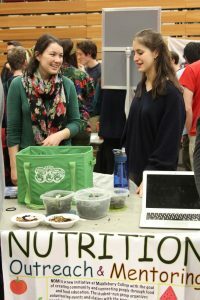 On Friday, students gathered in McCullough for the Spring 2017 Student Activities Fair. Pictured are NOM board member Chelsea Colby ‘17.5 and Caroline Wolfe ’19. 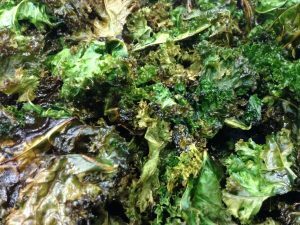 Prospective volunteers tasted kale chips! 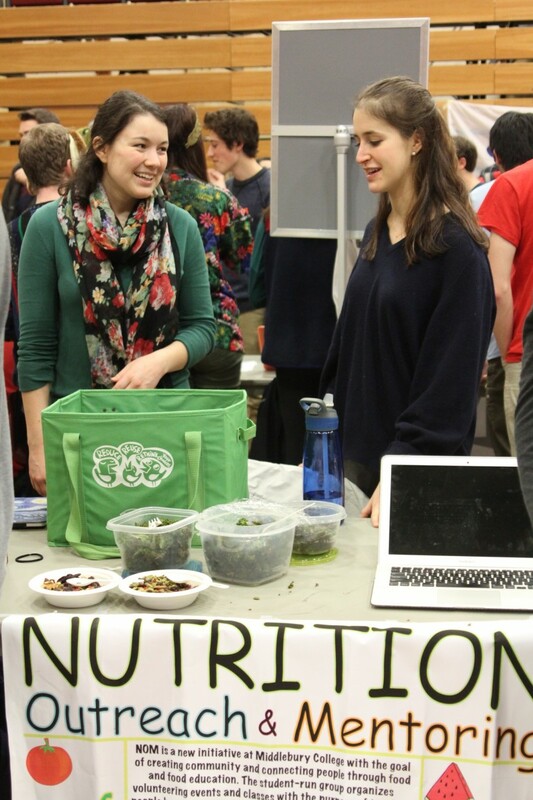 We shared with the interested students about our October taste test at Mary Hogan and how much the students loved the kale chips. Even many of the college students had never tried kale or never tried it in this form! To combat the empathy block one professor required students “to visit and learn about the mentees’ schools, homes, and neighborhoods and to dig up statistics about the scope of a broader societal issue affecting the child”. As we work with community partners through we strive, and will continue to work towards improvements, to educate volunteers to better understand the issues of hunger and food insecurity in Addison County so we can more holistically engage in food education. Have suggested readings, podcasts, videos or something you think we really need to know about food in Addison County? Send it to nom@middlebury.edu. 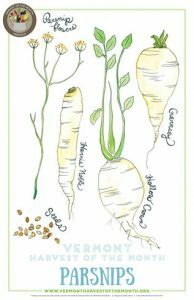 In January the Vermont Harvest of the Month was parsnips! 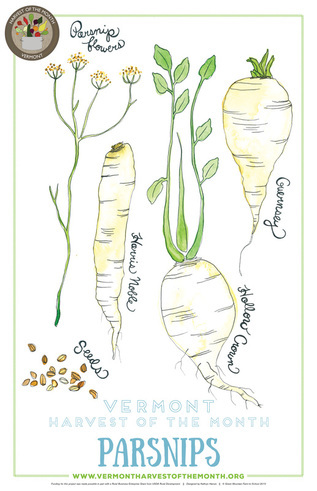 What parsnip recipes did you try this month?